This year, Sales 2.0 is all about the DNA of a high-performance sales team. In Boston on May 2, sales leaders and experts will take the stage to provide you with fresh new insight so you can dramatically improve your team’s ability to bring in more revenue, faster. Here are just a few of the sessions we’re excited to share with you! Today’s purchase decision journey for B2B customers is upending many sales organizations. Not only are customers increasingly turning to digital channels, their expectation for more “consumerized” experiences is also increasing. These trends are putting enormous pressure on sales leaders and their teams to re-examine how they can most effectively sell. Those who can manage the change and embrace “Sales 2.0” – such as understanding that face-to-face time is not necessarily the best way to sell – can turn the changes to their advantage and be even more effective than ever before. McKinsey & Company’s Jennifer Stanley, a partner in their Marketing and Sales practice, will share insights about why it may be better to spend LESS time with customers, what customers really want, and what the value of sales reps is. There are thousands of sales technology tools to consider, and all of them are jockeying for your time – and, more importantly, your budget. Most of these tools sound the same or promise very similar benefits. Many promise to deliver a huge ROI, as well as ease of use and implementation. In this session, Sam Capra, RVP of Sales, East Coast, DxContinuum, Inc., will lead a candid conversation about steps you can take to eliminate some of the noise around identifying and selecting the right technologies for your sales team. You will walk away with a clear strategy on how to identify and select the right sales technology partner(s) for your company based on your goals, industry, and budget. Bring your questions, as this will be a candid and interactive dialogue. Chris Beall, CEO of ConnectAndSell, will use real CRM call disposition data plus recordings of actual sales conversations to share a practical method of using dispositions to drive (and measure) coaching efficiency and effectiveness. Come prepared to “be the coach” as we get real about improving rep performance one step at a time. The Lies We Tell Ourselves about Our Sales Performance – and Why We Believe Us! Join J. Steven Osborne, Owner and CEO, Top Gun Sales Performance, for a (slightly) humorous view of the world of sales, sales leadership, and sales performance. We’ll explore why, as leaders, we don’t always get the results we want (and need) from our sales teams, and how the lies we have been told (and still believe) might be contributing to our disappointment. In the end, we think, you’ll see the sales world in a new light. And, you’ll be armed with a new and improved approach to how you build and lead your sales team. Register now to join us in May at the Westin Boston Waterfront; early-bird registration rates expire March 17! For questions about this event, please contact events@salesdottwoinc.com. 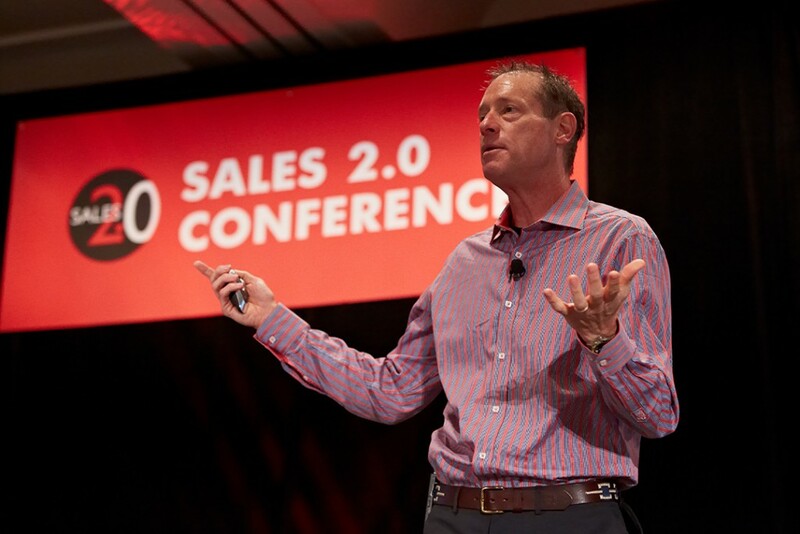 This entry was posted in #s20c, Conference Sessions, Conference Speakers, Sales 2.0 Conference and tagged Boston, Sales 2.0 Conference, sessions, speakers. Bookmark the permalink.